I discovered by accident the calming effect music has on my dog. Once introduced to a quieting concert of background music that my roommate plays for himself while reading his Bible, my canine Valentino went from active to calm within minutes. 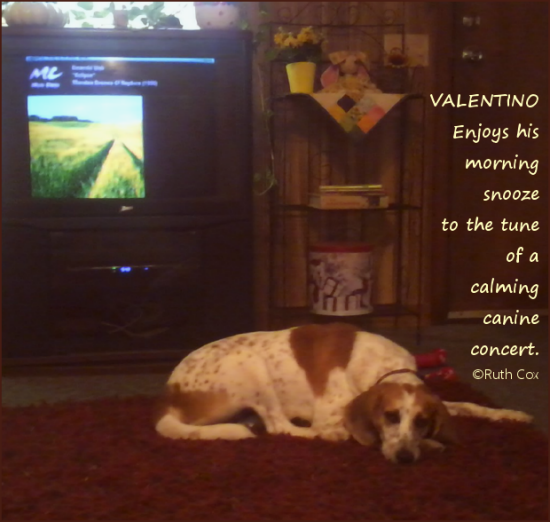 Once Valentino has eaten his breakfast and taken his morning walk he settles in for a snooze in front of the cable television with the Music Choice Soundscapes streaming into his hound dog ears like a baby's lullaby. 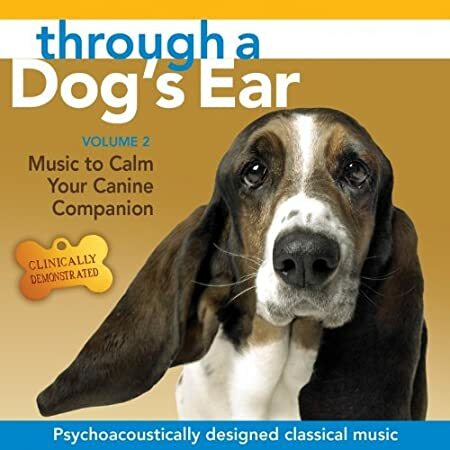 We also make good use of an audio CD of similar sounding music to calm our shelter rescue dog while teaching him to relax and enjoy frequent car rides which seemed to cause him anxiety at first. We are linking our sleeping dog up with Wordless Wednesday hosted by BlogPaws. 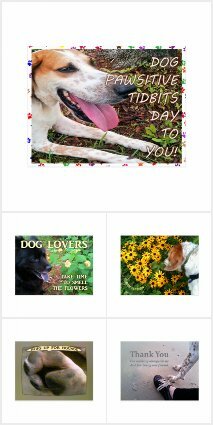 Join us with your pets and animals paw prints each week in this blog hop for animal lovers.